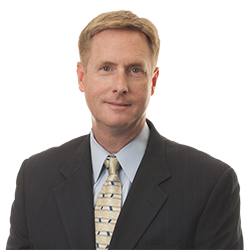 Stephen D. Dellinger | Littler Mendelson P.C. Accomplished litigator and advisor Stephen D. Dellinger counsels on intricate workplace issues involving a broad spectrum of federal and state statutory and common laws that affect not only employees but a company’s business goals. His sophisticated guidance directs executives and managers toward legally compliant human relations actions and policies. When a disagreement escalates into litigation, however, Steve develops targeted and compelling defensive strategies, recognizing that complicated cases often depend on reassessing traditional approaches. Whether in a deposition, taking testimony in court or arguing in front of a judge, he maintains a confident flexibility and resilience that works to the advantage of his clients. As an insightful advisor, Steve assisted a manufacturer with developing a new, efficient Family and Medical Leave Act (FMLA) process that was easier to manage and helped to reduce the potential for employee abuse. He has also guided human resources departments that sought to avoid or minimize legal exposure in a host of termination, discipline and severance matters of varying factual patterns. In addition to drafting employment contracts and severance agreements, he prepares or reviews policy and procedure manuals, along with employee handbooks. Steve’s deep experience extends to cutting-edge counsel and litigation in the unique area of noncompete agreements. He advises company executives on drafting agreements that are enforceable or defending those documents already in place. Steve serves as the office managing shareholder for two Littler offices: Charlotte, North Carolina, and Greenville, South Carolina. *Not licensed to practice law in South Carolina. Quoted in "Constructive Discharge Lawsuit Fails for Worker"
Where Diversity & Inclusion Meet the Law in 2016: The 6 Essential Strategies That Successful HR Professionals Need NOW! Diversity & The Bar: Is it Happy Hour Yet? Diversity & Inclusion 2015: Spearheading A Meaningful Initiative That Won’t Drive Your General – and Outside – Counsel Crazy!